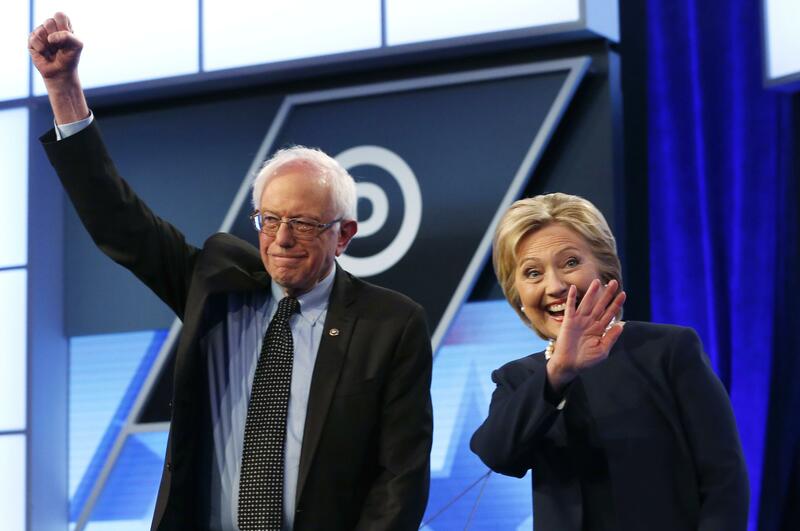 Wed., July 6, 2016, 4:49 p.m.
WASHINGTON – The Hillary Clinton and Bernie Sanders campaigns are discussing a potential event next week in New Hampshire, during which the Vermont senator would endorse Clinton’s White House bid. Sanders trounced Clinton in the New Hampshire primary, and holding the event in the Granite State would put the two rivals in a fall battleground state where Clinton will compete against Republican Donald Trump. It would also draw comparisons to 2008, when then-Sen. Barack Obama joined Clinton for an endorsement event in Unity, New Hampshire, a symbol-rich town where Obama and Clinton split the vote in the primary. Sanders was wildly popular with young voters during the Democratic primaries, with many drawn to his calls for free tuition at all public colleges and universities. Clinton cast her opponent’s proposals as unrealistic, saying that while she shared his concerns about rising debt, she didn’t want wealthier families to be able to take advantage of opportunities aimed at the middle and lower classes. Published: July 6, 2016, 4:49 p.m.